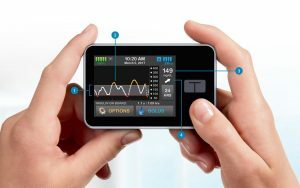 I invested in Tandem Diabetes a while back, they had just caught my attention (type 2 diabetic at age 40 that will likely be type 1 in the next few years) because they had this really sleek touchscreen interface that just seemed to fit right alongside all of the other sparkly gadgets (iPhones, iPads, Kindle, etc.) that are such a huge part of our lives today –like some sort of fashion accessory, except functional… very functional. The technological advances that have gone into the T-Slim are mind-boggling, and now that it’s getting ready to be launched in Canada, the stock (which i got into at a very discounted rate in terms of value). With more and more people that i know being diagnosed w/ diabetes, I see this as one of the fastest growing sectors in the industry, and the way the industry is structured, there just aren’t many good opportunities investing in medical devices out there, so I jumped on this stock. Tandem Director (insider), Chris Tworney, purchases additional 75,000 shares of (TNDM) stock.